Spirituality is about knowing and connecting with reality, a reality of nature and human beings. Of course, humans are a part of nature, and therefore, naturalists are humanists. As Spiritual Naturalists, we believe in nature. We evolved from nature and are a part of it. Science is beginning to show just how interconnected all of nature is. Therefore, it is only natural that our spirituality would have its roots in nature. Are you fascinated with learning about nature? My son loves to learn about dinosaurs. Most kids do. He also loves to learn about the planets and the stars. Others are interested in animals, plants, or even bugs. We seem to have an unquenchable appetite to know about nature. What you might not realize, is that this is part of the spirituality of naturalists. It is a spirituality of the mind. But for most of us, this knowledge about nature leads to connecting with nature. We go for walks in the woods and feel a connection to the life that is all around us. The birds chirping, the butterflies fluttering, and the wind caressing our cheeks. We seem to finally be home. This too is a part of the spirituality of naturalists. It is a spirituality of the heart. Are you a people watcher? Most of us are fascinated by watching other people. That is why celebrity gossip attracts most people’s attention. We are fascinated with other people. A lot of people are interested in psychology because we want to know what makes people tick. It is this interest in knowing people that is a part of a spirituality of the mind. Of course, we want to not only know about other people, we also want to connect with others. Whether it is with a significant other, family, friends, or neighbors, we evolved a deep need to love and be loved. In fact, our emotional health depends on establishing this deep connection. Without it, we usually limp through life as one of the walking wounded. Healing is possible, but difficult. So there you have it, a spirituality of mind and heart in two dimensions. As a naturalist, it means knowing and connecting with nature. As humanists, it means knowing and connecting with other humans. This is a well-rounded spirituality, one that cares for nature and has compassion for one another. 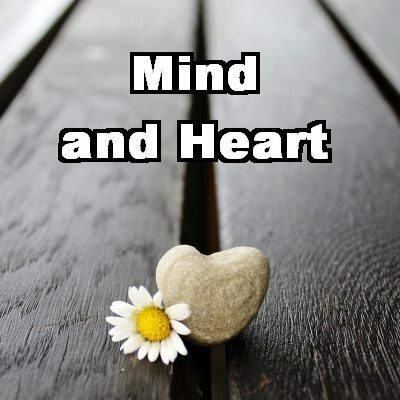 So how do you develop this spirituality of mind and heart? Begin by applying your mind to knowing a particular thing in nature. Study it and research it. Then go out into nature and experience it for yourself. You can do the same with people. Make a new friend, or connect with an old friend you lost contact with. Mend broken relationships, asking forgiveness and forgiving. Life is too short to hold grudges and resentments. We are all imperfect and will make mistakes. Forgive and move on. Humankind will probably never come to complete agreement on religion, philosophy, or politics, but we can all strive to know and connect with nature and one another. This knowing and connecting may take as many different forms as there are humans, but whatever form it takes, it can give us purpose and help us find personal significance. Spiritual groups empower you to bond with others and share the love and friendly relationship, that helps your immunity and wellbeing levels tremendously. Could evolution and biological history tell us anything satisfying about our purpose or help us define our values? Am I a Complex Information-Processing Machine? Is the human brain merely a complex processing machine – or is it something more? Roots of SN, Part 11: Were the Cynics and Stoics Naturalistic? “Live according to nature” was the motto of the Cynics and Stoics. Were these traditions naturalistic?